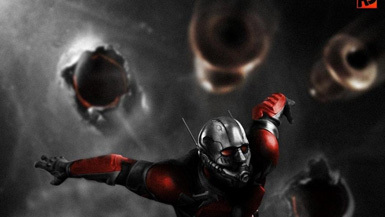 Kim Hollis: Ant-Man, the latest release from the Marvel universe, earned $57.2 million as it opened this weekend. What do you think of this result? Ben Gruchow: The relevant Marvel comparisons as far as opening are, I think, Thor and Captain America: The First Avenger. Summer of 2011 was really the only time that the MCU was sort of an unknown quantity as far as whether the whole thing could pay off. (Iron Man exploded in 2008, the sequel had advance goodwill because of it; The Avengers exploded and gave Iron Man 3 a halo; Winter Soldier and Guardians of the Galaxy had the dual benefit of anticipation for the Avengers sequel and very good critical reception.) These two provide the fairest comparison: they were both tests of the brand, reviews were good but not spectacular, and the lead actors were familiar but not household names. Grading on this curve, Ant-Man’s $57 million is okay. It shows a decent amount of audience attrition (7.1 million tickets versus 8.1 million for both of the first two), which is expected because the concept is sillier than the other Marvel brands while also looking (from the trailers) sort of bland and middle-of-the-road. I remember seeing the trailers multiple times in front of other movies, and the final gag with the train set (which does work better in the film itself) garnered a few sporadic chuckles but not much else. It was perceived as a lightweight relative to the Marvel stable, and this opening is in line with that.